The Avengers 2 Is Coming In 2015. Surely We Can Get A Good Video Game By Then, Right? Disney has just announced a May 1, 2015 release date for Avengers 2, according to The Hollywood Reporter, with Joss Whedon back to write and direct. That's great news for everyone who loved this year's hit superhero team-up. But that release date is also a glimmer of hope for gamers. A 2015 release date means there's hope for Earth's Mightiest Heroes. Cap, Thor, Iron Man and everyone else might actually get the balls-out action experience they deserve. Listen, Avengers: Battle for Earth. : There's every chance that you're going to be a perfectly enjoyable game. Maybe. But I think I speak for lots of longtime comics readers when I say you were not the tie-in video game we were hoping for. Now, Marvel's video game licenses are all over the place, with characters appearing titles from Ubisoft, Activision, Sega and Capcom. And there were some rumors about where such dealings may go. Nevertheless, the quality of any Avengers 2 tie-in game would lie with the developer, rather than a publisher. But there's time. AAA games can take anywhere from two to, what, five years to make, right? If the people in charge of video game things at Marvel have learned anything from not having an Avengers tie-in game available in the film's theatrical release window this year, then work is already underway on an Avengers 2 game. If not, then no pressure, Marvel. You have time. Not a lot, but enough. 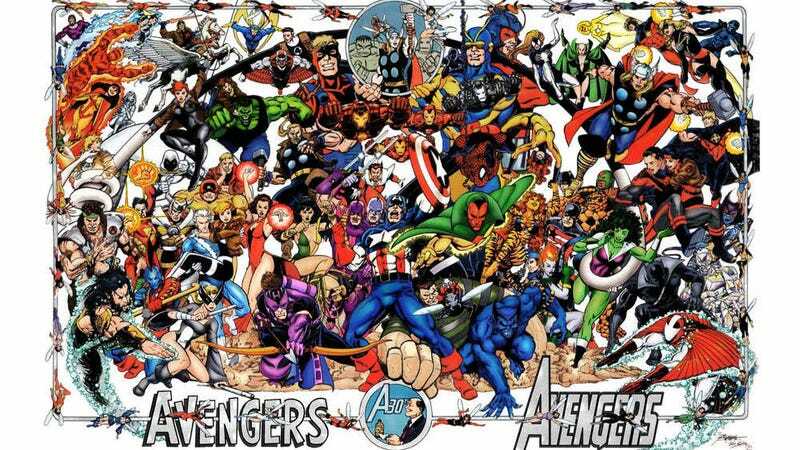 Fellow fans, what developer would you love to take a crack at an Avengers game for 2015?